Phantom Village is situated close to Knysna, which lies 60km from the city of George and 30km from Plettenberg Bay, along the Garden Route, in the Western Cape province of South Africa. This is a relatively new development with newly built modern homes, except for the original homestead, which was kept and restored - adding to the special atmosphere in this suburb just outside Knysna. This gated, secured village is within 2 km from Knysna central, bordering a small stream and surrounded by an indigenous forest. This lovely Knysna suburb attracts keen birdlife enthusiasts, as the lush vegetation in the estate is home to a big variety of bird species, including the Knysna Loerie. By crossing the N2 you are on the newly constructed promenade which offers a 6 km walk along the Knysna lagoon. Buffalo Bay is a popular, safe swimming beach only 12 km away, so too is Brenton-on-Sea which is 8 km away - easily allowing for a daily beach walk! The village is managed by a body corporate. A special feature of this village is the "no fencing in the front" approach (side and back fencing are allowed), to enhance the feeling of a true, small community. 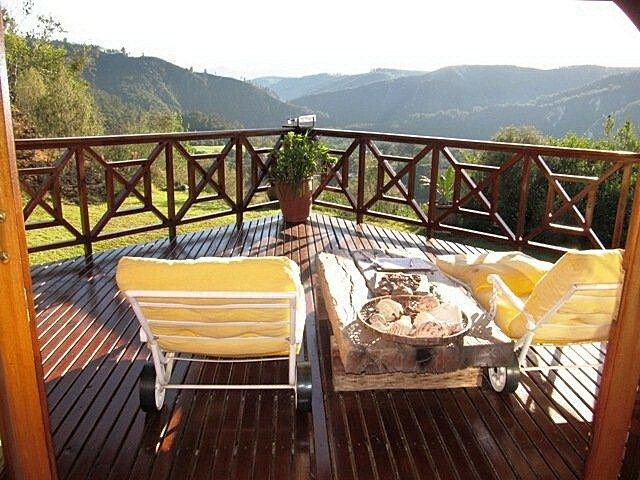 Properties in Phantom Village, Knysna, are absolutely ideal for tranquil, natural living.